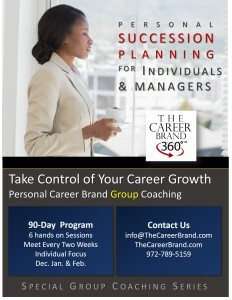 Latrice Collins has crafted a special coaching program to provide real focus on your specific career needs. 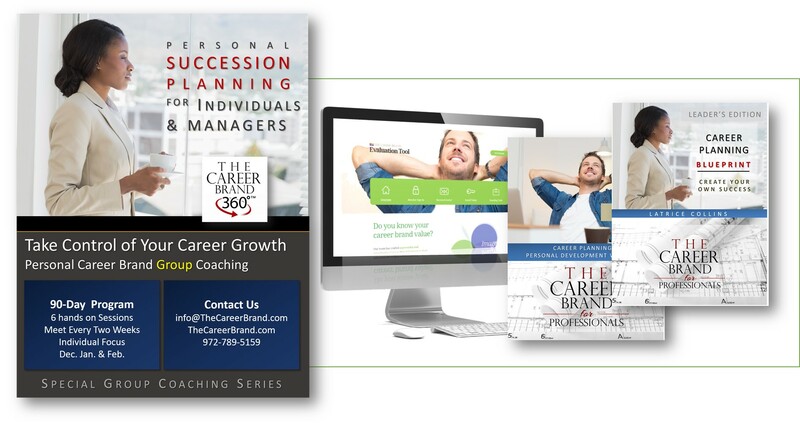 The Personal Career Brand Group Coaching program consist of three months of intense sessions. In-person or virtual sessions speaking directly to our founder and CEO, Latrice Collins. Click the book to the left to learn more about the program.